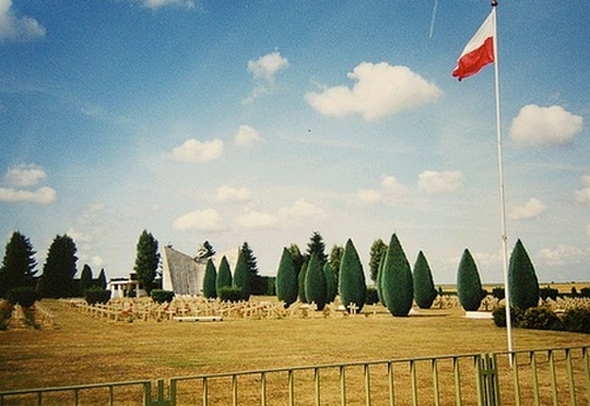 The Polish War Cemetery near the village Langannerie. In Polish translated as "Polski Cmentarz Wojenny" (P.C.W.) 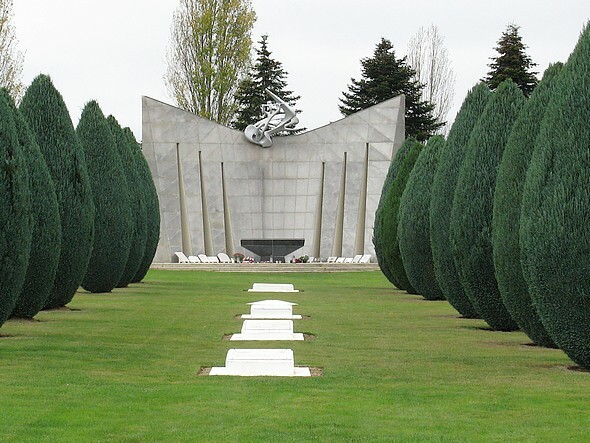 In this cemetery the victims of the terrible heavy battles in august 1944 on and around Mont Ormel have been buried. 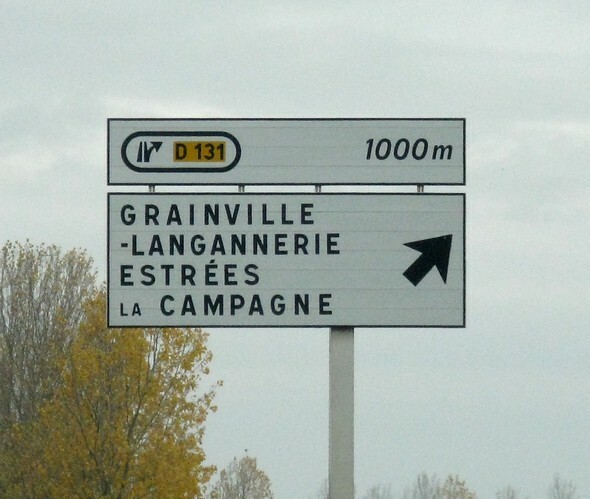 This hill, in the neighbourhood of Chambois, is on military maps indicated as hill 262. 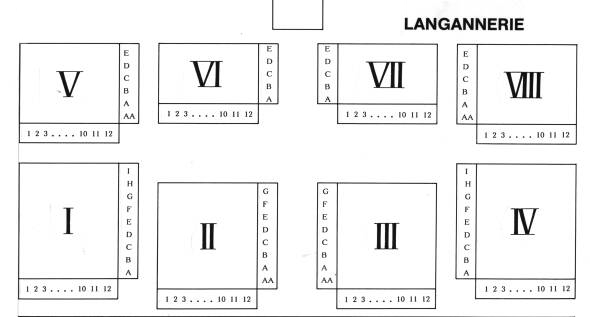 In the Polish history the hill bears de name of "Maczuga" translated as "Club" because this was the shape of the perimeter which was to be defended by the brave Poles. See also the book With the tanks of the 1st Polish Armoured Division written by K. Jamar, published in 1946 and a lot of sites on Internet. 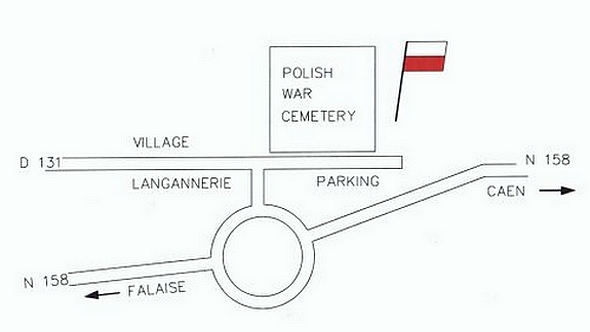 The Polish War Cemetery at Langannerie is in care by the French Government. The maintenance is done by the "Direction Interdepartementale des Anciens Combattants et Victimes de Guerre" established at Caen. The graves with the text "IN MEMORIAM" are empty. They are only added on behalf of the symmetry. About this question many misunderstandings exist! It's no longer possible to enter the Polish War Cemetery at once from the N 158. You have to change by means of a rotunda.